Paradigm is a relatively large company by audiophile standards, whose core business is the design and manufacture of high-quality speakers at real-world prices. While probably best known for their many lower-priced models, Paradigm is able to exploit their advanced research and design facilities and large-scale manufacturing plant to create a line of flagship speakers, the Reference Signatures, at reasonable prices. I suspect that most boutique manufacturers would be hard-pressed to design speakers as technically advanced as Paradigm’s Reference Signatures for any price. While they cost considerably more than Paradigm’s entry-level models, I still consider them to be an excellent value for their outstanding performance for the price. I’ve owned a pair of Paradigm’s original Reference Signature S8s since they made their debut in 2004. Since then, Paradigm has made many improvements to the Reference Signatures. The first major upgrade was a tweeter of pure beryllium (which Paradigm calls P-Be). Many speaker makers consider beryllium to be the best material currently available for tweeter domes, for its low mass, high strength and stiffness, and excellent thermal conductivity. Most recently, Paradigm has completely redesigned their Reference Signature woofers, and claims a 50% increase in output. With these and many other improvements, the latest, v.3 versions of the Reference Signature models should offer significantly better performance than the originals. Paradigm sent me a pair of the relatively compact S6 v.3 floorstanders, presumably confident that they would compare favorably with my larger, original S8s. The S6 v.3 retails for $2899 USD each in the standard cherry finish; it’s also available in Natural Maple and Piano Black at additional cost. The Reference Signature S6 v.3 stands only 43.75”H x 8.25”W x 13.5”D, yet weighs a surprising 70 pounds. The cabinet is gently curved to reduce internal standing waves, and the crossover frequencies are specified as 190Hz and 2kHz. Two sets of high-quality binding posts are provided for biamping or biwiring, if desired. Usually, product flyers from audio manufacturers contain mostly marketing hype, but Paradigm’s Reference Signature brochure provides a lot of technical detail. It’s apparent that a great deal of effort has gone into optimizing nearly every aspect of the speakers’ design. Paradigm’s patented IMS/Shock Mount fastening system decouples the drivers from the heavily braced cabinet, and high-quality crossover components and silver-coated oxygen-free copper wiring are used. More impressive is the advanced technology used in the drive-units, all of which are designed and built by Paradigm. The 1” tweeter’s P-Be dome is “hot-formed” from a solid piece of beryllium instead of the more common vapor-deposit technique, resulting in a dome that Paradigm claims is measurably higher in strength and consistency. Two massive neodymium magnets are claimed to generate 20,000 gauss of magnetic energy at the voice-coil. The damping chamber behind the tweeter contains high-loss, foam acoustic dampers, as well as fins designed to break up and disperse residual internal resonances; fins on the outer surface act as heatsinks. The 7” midrange cone is made of what Paradigm calls Co-PAL -- another proprietary material, this time of cobalt-infused aluminum, also said to have high stiffness and low mass -- and has a neodymium magnet whose magnetic field is claimed to be 15,000 gauss. The die-cast aluminum chamber has asymmetrical channels to dissipate the backwave, and is directly coupled to the magnet to transfer heat away from the motor structure. The chamber has high-loss felt dampers to reduce internal resonances, and exterior cooling fins. The two 7” woofers have polypropylene cones with a higher mineral content to increase their stiffness, revised motor structures, and surrounds made of Non-Limiting Corrugated (NLC) Santoprene. According to Paradigm, the combination of these increases the output by 50% over earlier versions of this woofer. Previously, the tweeter and midrange outputs had to be curtailed to match the lower output of the woofers; now Paradigm says they’ve increased the outputs of the other drivers to match, with the result of a higher output for the speaker overall. On the front baffle, directly below the lower woofer, is the port. The review samples looked gorgeous in Piano Black, which was finished to a very high standard. They also felt very solidly built. My only complaint was that the pressure-fit grilles seemed a bit fragile -- as if their plastic tabs might break off during installation or removal. Some might also object to the many exposed mounting screws on the drivers, and the visible holes for the grille tabs on the front baffle. Granted, the Signature S6 is designed to be used with its grille on, in which case these would be invisible. However, after listening for some time with the grilles on, I found that I preferred the sound without them. I did most of my listening that way, and suspect many audiophiles will do the same. I found that the high-tech-looking drivers, especially the woofers with their NLC surrounds, gave the Signature S6 a purposeful and muscular look. With a few minor adjustments to fine-tune the imaging, the Reference Signature S6 v.3s took the places of my original S8s in my reference system: about 3’ from the front and side walls, and slightly toed in. I listened to the S6 v.3s with and without my Statement D2’s Anthem Room Correction (ARC) engaged. The S6 v.3s sounded very good on their own with no room correction, but, as expected, ARC tightened the bass and made the midrange a bit more transparent, which in turn tightened up the imaging. As I always listen to my S8s with ARC engaged, that’s how I listened to the S6 v.3s. Over the past several years I’ve grown accustomed to the sound of the original Signature S8s. They have a big sound, with excellent bass extension and a neutral midrange accompanied by sweet but natural-sounding highs. The S6 v.3s indeed had a similar familial sound, but the new speakers sounded better -- a lot better. I expected the S6 v.3 to be extraordinarily clean through the midrange and especially the treble, due in large part to that P-Be tweeter. What I didn’t expect was the incredible speed and slam in the bass from what is a fairly compact floorstander. Not only was the bass fast and articulate, there was plenty of weight behind it. Some speakers sacrifice bass extension for a quicker response, and end up sounding a little thin or lean. Other speakers, in trying to go lower, end up sounding boomy and inarticulate. Not so the S6 v.3. Down to almost the lowest audible frequencies, it was weighty and tightly controlled in a way I’ve never heard from such a compact cabinet. In combination with the Signature S6’s pristine midrange and treble, its nimble, visceral bass produced a strikingly vivid sound. The reproduction of Rosanne Cash’s voice in “Western Wall,” from The Very Best of Rosanne Cash (CD, Columbia/Legacy 696998699625), was immaculate. The slight sibilance of her whispery, closely miked voice was reproduced beautifully, and placed high in the soundstage. The vibrant slap and twang of strings were finely demarcated from the resonance of the body of the acoustic guitar, which had an uncannily solid character. The S6 v.3s easily moved from the big, bold sound of a good acoustic guitar to the diminutive sound of the ukulele on Israel Kamakawiwo‘ole’s Facing Future (CD, Mountain Apple 761268590121). The uke lacks a guitar’s attention-grabbing sustain, but the Signature S6s conveyed its delicate notes’ swift decays into this recording’s utterly “black” background. I could almost picture this giant of a man -- he was 6’ 2”, and at one point weighed 757 pounds -- from the short, labored breaths audible at the beginning of his medley of “Somewhere Over the Rainbow/Wonderful World,” which he transforms into a disarmingly graceful vocal style. The imaging was limited to a relatively narrow space between the speakers, but the S6 v.3s conveyed every nuance of Iz’s voice and ukulele. Just about any high-quality speaker can make an audiophile recording sound good, but the S6 v.3 made them sound exceptional. With less-than-stellar recordings, all of the speaker’s strengths were still clearly audible while revealing no weaknesses. Kiss’s MTV Unplugged (CD, Island/Mercury 731452895028) sounds decent for a live album, and was surprisingly clean and clear through the Paradigms. The voices of Gene Simmons, Ace Frehley, and Peter Criss were easily identifiable as they took turns singing the verses of “Rock and Roll All Nite,” with Paul Stanley joining in on the chorus. The multiple acoustic guitars were spread uniformly across the soundstage, and I could even hear Bruce Kulick outshine original bandmember Ace Frehley in their respective guitar solos. The opening drumbeats were deep and tight, and even with two drum kits, three acoustic guitars, and an acoustic bass, I could distinctly hear, behind the group, the appreciative noises of the crowd. The less frenetic “Rock Bottom” sounded even better, the scintillating guitars and clearly audible bass guitar complementing Stanley’s voice, which has survived the ravages of time better than have those of his bandmates. About the only shortcoming of the S6 v.3 was its inability to play extreme low bass. Rosanne Cash’s “Western Wall” is one of SoundStage! Network editor-in-chief Jeff Fritz’s reference recordings for subterranean bass because it contains important musical information in the 20Hz area. The S6 v.3 hinted at but could not fully reproduce the subtle but amazingly deep foot stomps 25 seconds into this track. However, when I switched in the six 8” drivers and two 850W amplifiers of the Paradigm Reference Signature Sub 1 subwoofer ($4499 in Cherry), those foot stomps were reproduced with amazing authority -- as if someone were actually stomping on my listening-room floor. But even without the stomps, “Western Wall” sounded powerful and full-bodied through the Reference Signature S6s. Getting those last few hertz out of a high-performance system is not easy to do, and usually requires a very capable subwoofer, or much larger and more expensive speakers. So it wasn’t unexpected that the S6 v.3s couldn’t reproduce those ultralow frequencies. Listening to the 24-bit/96kHz download of Iver Kleive’s pipe-organ version of Paul Simon’s “Bridge Over Troubled Water” (FLAC, 2L/HDtracks), you wouldn’t think anything was missing from the S6 v.3’s bass -- this track doesn’t quite dip into the lowest registers. In fact, adding the Sub 1 only marginally improved the bass response of this track; even without the sub, the S6 v.3s wonderfully re-created the organ’s solid, room-filling sound. While the original Signature S8 ($2700-$3000 each when available, depending on finish) is a considerably larger speaker with two additional bass drivers, the Signature S6 v.3 was clearly superior. The S8 was able to play back the 20Hz tone from the Hsu Research/Boston Audio Society Test CD 1 at a considerably higher level than the S6 v.3, but it sounded noticeably looser than the S6 v.3 when reproducing the 31.5 and 40Hz tones. With music -- such as “Poker Face,” from Lady Ga Ga’s The Fame Monster (Deluxe Edition) (CD, Streamline/Interscope 0602527210360) -- the S8’s greater bass extension was pleasing, but came at the expense of some speed and definition that slightly detached the beat from the rest of the music. The S8 may have been able to reach a little lower, but through the midbass and up the S6 v.3’s superior neutrality and transparency were readily apparent. Everything was just a bit cleaner through the S6s, image outlines clearly snapping into focus where they were slightly blurred with the S8s. Paul Stanley’s fervent singing on Kiss’s “Rock Bottom” was less distinct from the multiple acoustic guitars, and Gene Simmons’ voice was more difficult to identify in the backing vocals. Through the S8s, the violin of soloist Marianne Thorsen, on her disc of Mozart violin concertos with the Trondheimsolistene (24/96 FLAC, 2L/HDtracks), also lacked that last touch of transparency that made individual notes blend slightly together. The S8s gave the orchestral strings a lovely, warm sound, but with a more homogenous quality that masked the melody and robbed the music of some pace. Through the S6 v.3s, the orchestra still sounded rich and luxurious, and Thorsen’s violin was placed solidly between the speakers with power and authority. I enjoy listening to this fantastic string-ensemble recording at lifelike (high) levels; with the S6 v.3s, it never became fatiguing. Given the Paradigm Reference Signature S6 v.3’s ambitious design, exceptional construction quality, and what I heard from them, I wouldn’t have been surprised to learn that it cost $10,000/pair or more. Then again, if anyone could produce such a high-performing speaker for about $6000/pair, it would be Paradigm, with their advanced R&D facilities and modern manufacturing methods. The Reference Signature S6’s combination of ultrasmooth treble, perfectly integrated midrange, and unexpectedly articulate bass make it a speaker that simply must be heard to be appreciated. Its lack of coloration, extremely high power handling, and wide, smooth frequency response allowed it to play back any type of program material without fault. In short, the Reference Signature S6 v.3 is a remarkable achievement: a technologically advanced product that is beautifully constructed and sounds absolutely amazing. 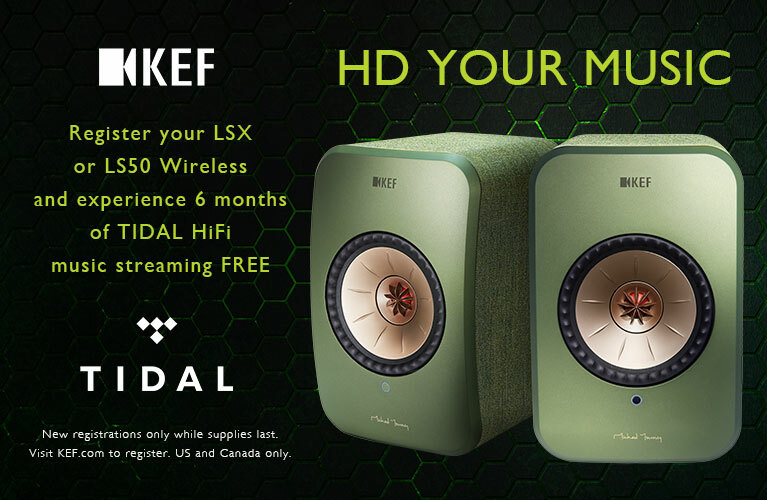 The fact that a pair of them can be had for only $5798 makes it a relative bargain in the world of high-end audio. I will soon retire my original Signature S8s and replace them with the S6 v.3s in my reference system. The new speakers are a sheer pleasure to listen to, day in and day out, with absolute neutrality, smooth, extended highs, and surprisingly dynamic bass. When introduced, Paradigm’s original Reference Signature models set a benchmark for performance, price, and craftsmanship. Judging by the S6 v.3, with the newest Reference Signatures Paradigm maintains their leadership position in manufacturing terrific products at reasonable prices. Price: $5798 USD per pair in standard cherry finish; other finishes available at additional cost. Warranty: Five years, parts and labor.